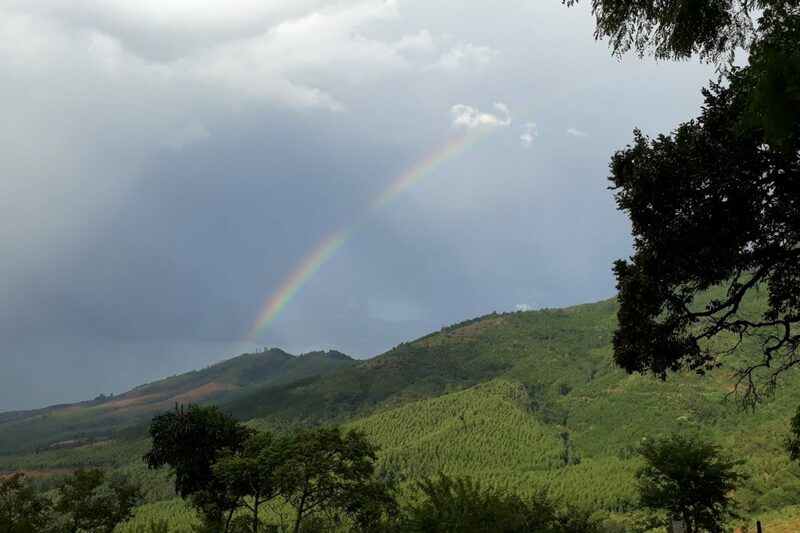 Our beautiful accommodations are situated on Tupelo Honey farm where we grow avocados, macadamias and herbs and which is surrounded by indigenous forest, disappearing up the mountainsides into the mist. You can walk around and explore the area, or visit the Glass Art Studio which is centrally located at the carpentry workshop. As it’s a working farm, there is fresh produce available during the season.